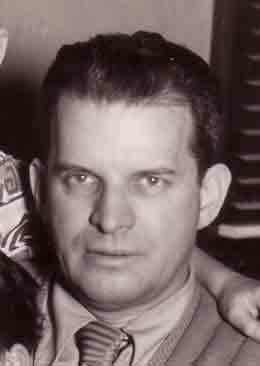 Gilbert J. Markle was born "Gilbert Davis" on 16 August 1903 in Manhattan, New York City, New York, the son of Mary A. 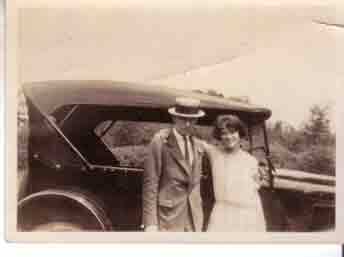 "Marie," "Mamie" Lundrigan and Charles Davis. His mother, "Grandma Markle," said that Gilbert was baptized "Charles" but went by "Gilbert." We never found a baptism record listing the name Charles. When Gilbert's father died shortly after Gilbert's birth, his mother remarried Willis H. Markle (Willis had lost his lower left leg in an accident while working on the Erie canal) and Gilbert took the last name "Markle," becoming Gilbert Markle before he was 3 years old. Mary, Willis and Gilbert moved to Peekskill, New York to live. Willis ran a general store there in the early years and later is found on the 1920 census working at a pearl factory, "making pearls." Gilbert was brought up a Catholic and had his first communion at Church of Assumption, Peekskill, later taking "Joseph" as his confirmation name. As a child he had a pony, "Kit," he had piano lessons and grew up in a time when there were no cars, airplanes or telephones. The way he spoke of his youth, he appeared to be precociously intelligent. He claimed to have gotten a 100% on his New York State Regent's Exam in Physics (equivalent to today's SATs), contesting his one and only incorrect answer to the authorities and having his answer accepted, giving him a 100% correct score. The test question was: which is the best way to conduct heat? and corrugated surface was the choice he claimed was the answer. Apparently there was more than one correct answer which he pointed out to them. 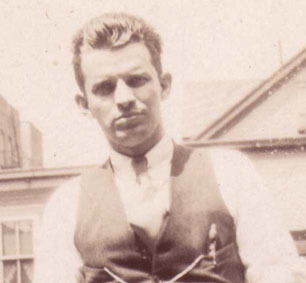 Gilbert Markle graduated from Drum Hill High School in June 1922, two months short of 19 years old. He was working at Bell Labs in New Jersey by July 19 of 1922. In 1925 he had one of the first "loud speaking telephones" in his house at 1106 Brown St., Peekskill. It had just been invented and patented the previous year at Bell Labs. He said that he worked on developing the rotary dial for the telephone. He would say, "...it's not always the invention that's so important. The development of the invention is just as important." He attended Columbia University from 1922-1925, taking electrical engineering classes and following Professor Morecroft, who wrote several books on radio engineering. Gilbert was a sort of mathematical genius. His bedside reading book was "The theory of Relativity" by Einstein. He used to say, "...if I didn't already know calculus, I would have invented it." His dark basement "workbench" wall was lined with red cardboard boxes of vacuum tubes, spares for his projects, that, alas for eBay buyers, probably ended up in the Tenafly dump. 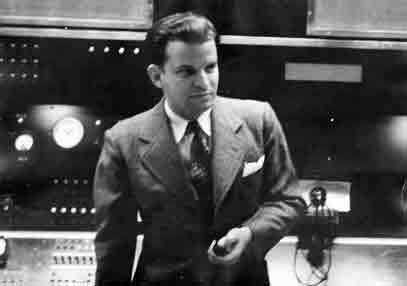 He began to work at NBC Radio, the new emerging media, as a radio engineer in 1933, age 30. He was married to Aline Hoffsteddar, a telephone operator, in 1934, divorced and remarried by 1939 to Connie Gates, a singer who he met while "adjusting the mike for her" during one of her radio shows, as the story goes. He worked as a radio engineer at NBC radio at a time when radio was everything. There was no TV, only newspapers, telephones and telegraphs. He scripted and recorded radio shows that he pressed to 78 LPs, which in that day were vinyl on metal disks. There were no tape recorders yet. One show our family always remembers is "The Christmas Trip," with a rehearsed script, sound effects of train engines and whistles and conductors and cars with spliced cuts of AJ Gates booming out "Merry Christmas!" and even with Gil saying his lines, age 6 or so, perfectly. In that day, all radio was live. The red, lit "on the air" sign meant any mistake would be broadcast across the country. No small amount of pressure for the radio engineer whose job it was to adjust the microphones and sound levels and make sure that there was no "dead air" (silence) and to cue up the records...by hand...playing the record until the sound came on and then, with a gentle finger motion, pushing the record backwards just enough so that when let go, the voice would come straight on. From 1934 on, he worked on radio shows such as "Let's Dance," "Cavalcade of America," "Mr. District Attorney," and NBC symphony. He worked with personalities such as Johnny Carson (he often spoke of knowing Johnny Carson when Johnny was a page at NBC), Ed Wynn, Dinah Shore, Fred Allen, Dorothy Lamour, Bob Hope, Stawkowski, Tosconini and Frank Sinatra. Gilbert said that Frank Sinatra offered him a job as his personal sound man which involved moving to the West coast. He turned it down to stay at NBC. He met and worked with some of the most sophisticated, educated and cosmopolitan personalities of the day, absorbing their humor and evolving into a comedic wit in his own right. He developed an irreverent sense of humor. He would laugh at our dog, Salty, jumping in the hearse at his mother's funeral. He would say, "...if you get a psychic message from me after I've died, it won't be me!" He laughed at the creaking floor boards at the front door of his house. The famous story was of one of Gil jr's girlfriends who chided him, "Oh, Mr. Markle...!, as he unsuccessfully tried to recreate the sound by stepping on the offending board over and over. Gilbert was an accomplished photographer and mixed his own chemicals for his darkroom in the basement, using a balance scale to measure the ingredients. 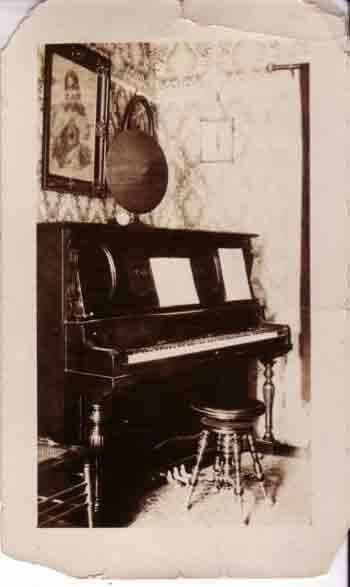 He played the piano as an adult and played stride rhythm and marching band songs. He worked at NBC until 1968, retiring at the age of 65. He had always talked about one day retiring in the Canary Islands but when he was given a ticket to the Canary Islands as his going-away present from his NBC cronies, he never used it. Gilbert had a stroke around 1984 while on vacation in Cape Cod and Connie took care of him for many years. He had been a diabetic since his 50's but after the stroke, he no longer needed insulin pills and controlled his diabetes by diet alone. Although he had lost much of his cognitive capacities, his emotional capacity was unchanged. "I don't know who you are, but I love you," he said to me a month before he died. He was 87 when he died from a second stroke that occurred during rehabilitation after surgery for a broken hip. From his pivotal position behind the scenes in radio. Gilbert's unique way of viewing the world surely influenced many powerful and famous people of New York City. Who knows how much of history changed due to his singular self!